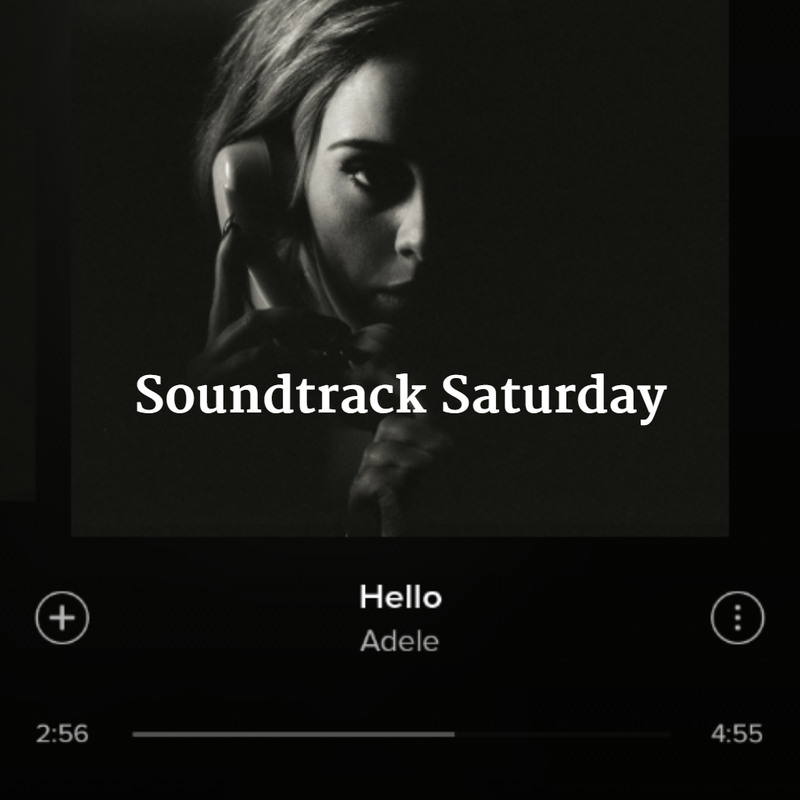 Welcome to my second Soundtrack Saturday! I had so much fun coming up with a mini playlist last week that I thought I would do it again. 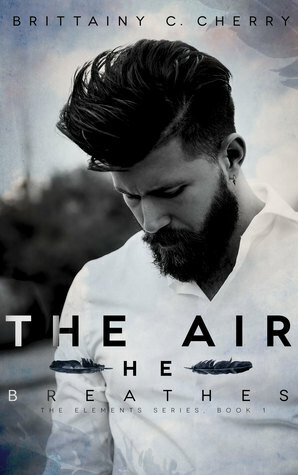 This week, I’m going to spotlight the book The Air He Breathes by Brittainy C. Cherry. You can find my review here. I’ll Be Missing You by Puff Daddy (I refuse to use P. Diddy, Diddy or whatever. He was Puffy back then!) would be a good choice for this one. 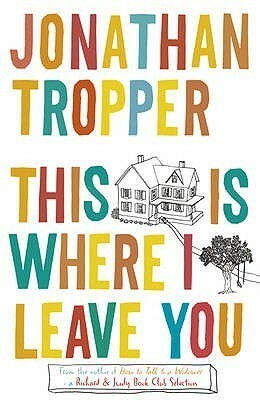 Every Breath You Take by The Police was the first song that came to mind when I thought of Tanner. I know, the first song I chose is a remake of this one. They’re the same but different and it works. I don’t think I could have found a more perfect song for Tristan and Elizabeth’s relationship than A Great Big World’s Hold Each Other. Savage Garden’s I Knew I Loved You is a song that I think fits kind of the whole vibe of the book, especially the ending. And that’s a wrap. Happy Halloween! Happy Halloween! 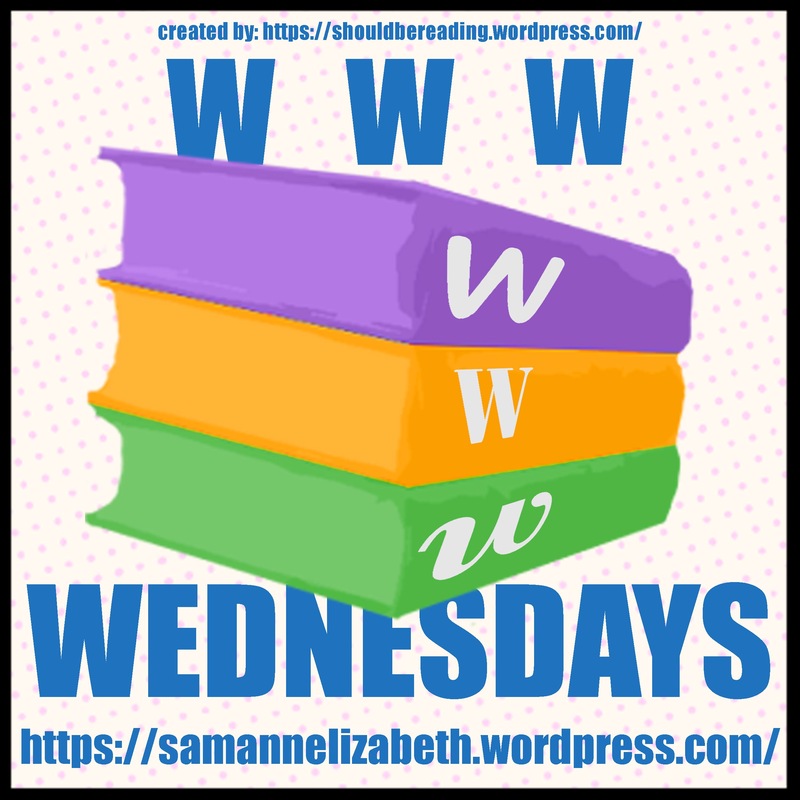 I saw The Halloween Book Tag over on The Cyborg Knight and thought it sounded like the perfect post for today. The Cyborg Knight borrowed it from The Bookie Monster. I don’t really like horror books, so I’m going with my favorite “horror” book from my childhood. 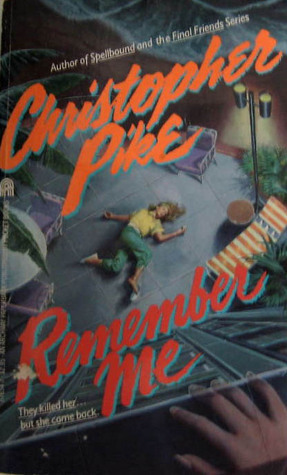 Christopher Pike’s Remember Me was my favorite book for a long time. 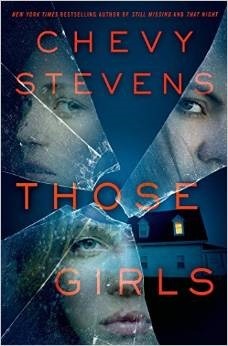 I couldn’t think of the scariest moment I’ve read in a book, but Those Girls by Chevy Stevens had a ton of intense moments that stressed me out. Would you or have you ever get dressed up as a book character for Halloween? Sure! Why not? I haven’t done it before. 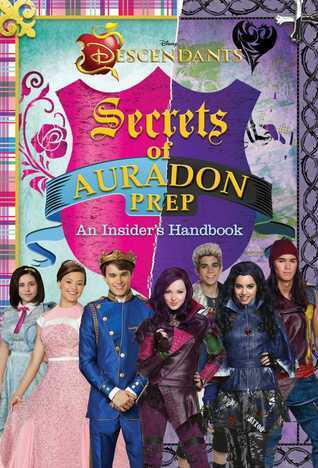 One of the evil parents from Disney’s Descendants would be fun! Maybe next year my daughter can be Mal and I could be Maleficent. Or we could be Evie and the Evil Queen. What do you think your favorite character would dress up as for Halloween? 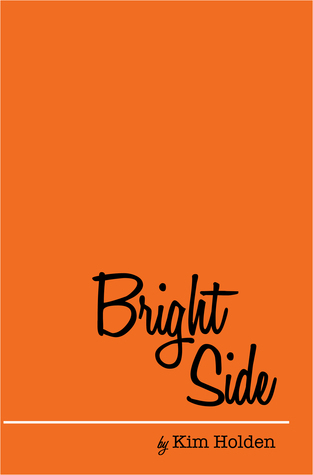 I’m not sure what Kate from Bright Side by Kim Holden would dress up like for Halloween. Maybe a sunshine, rainbow or unicorn? She’s always looking on the bright side, so something super happy would be my best guess. If books were as cheap as candy, which ones would you give out to trick-or-treaters? There are so many books I would love to give out that would not be appropriate for trick-or-treat aged kids. 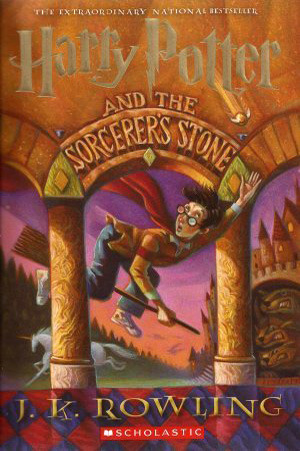 I’m picking J.K. Rowling’s Harry Potter and the Sorcerer’s Stone for this. They’ll probably all be disappointed because they’ve probably all read it already. Halloween to-read list / Recommend some reads! I hope you have a boo-tiful Halloween and get to eat a ton of candy! I remember thinking it was pretty hilarious when I read it. 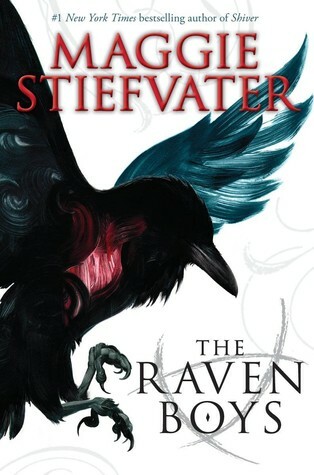 I thought they did a pretty good job on the movie version released last year, but (of course) the book was better. 2009 or 2010. I’m not sure exactly. I picked it up at Borders Books when it was on the new(er) releases shelf. Adults that enjoy a good, comical book. 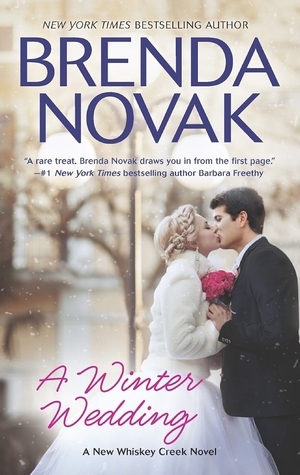 Right now I’m reading Brenda Novak’s A Winter Wedding. 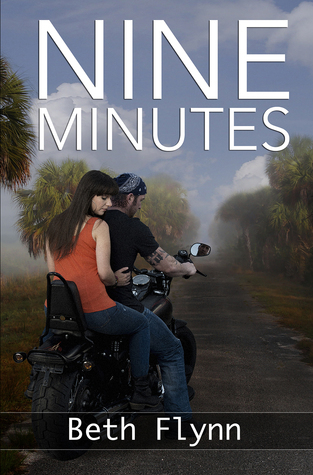 It’s the ninth book in the Whiskey Creek series and it’s Kyle’s story. I’ve been waiting for his book forever! 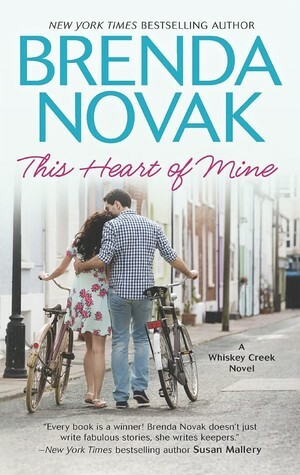 This is one of my favorite contemporary romance series. 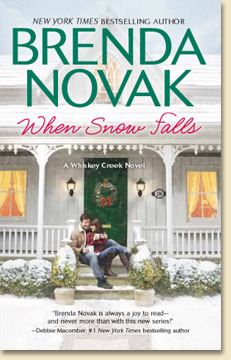 I would recommend it to adults that love sweet romances. 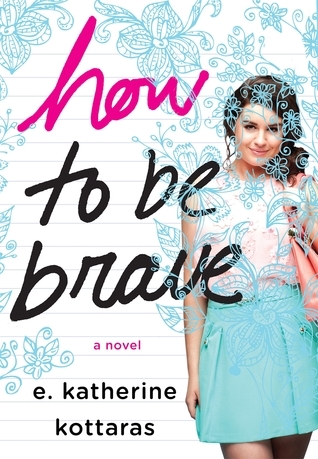 I’m finished an ARC of How to Be Brave by E. Katherin Kottaras in one sitting. It was pretty quickly paced. It wasn’t exactly what I was expecting and you can read my review to find out more. 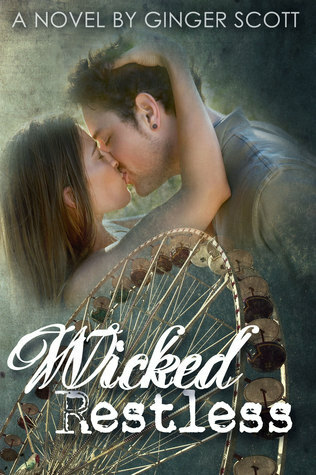 I’ve been waiting for read Wicked Restless (Harper Boys #2) by Ginger Scott since the moment I heard it was coming out. I loved Wild Reckless and I’m so happy Ginger Scott decided to give us more from the Harper boys. I’m crossing my fingers for a spin off about Trent now. You can find my review here. Finally, I read The Air He Breathes by Brittainy C. Cherry. I read it as a buddy read and was surprised by it. My review of it posted today. 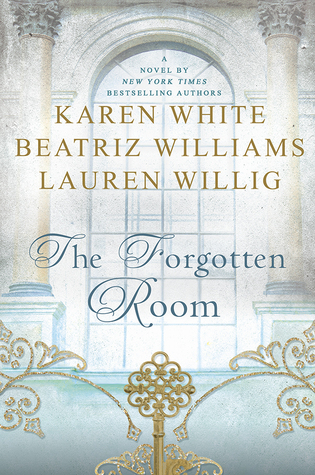 I feel extremely lucky to have been approved through NetGalley to read The Forgotten Room by Karen White, Beatriz Williams and Lauren Willig. 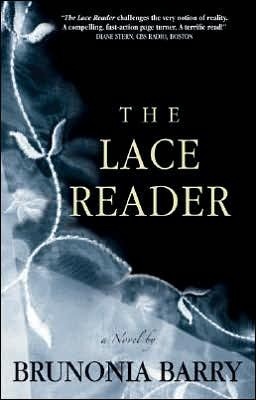 Karen White is one of my favorite authors. I’ll read anything she writes. Elizabeth knows she should stay away from Tristan Cole. Everyone has told her he’s bad news. But there’s something inside Tristan that Elizabeth can relate with. 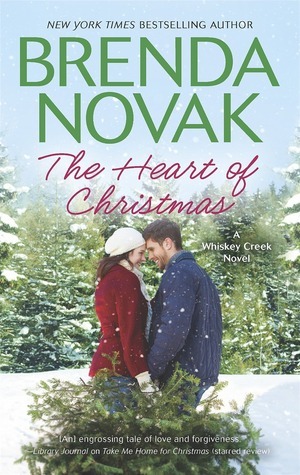 Elizabeth sees Tristan and knows he’s not what they make him out to be. She knows he is just damaged like she is. 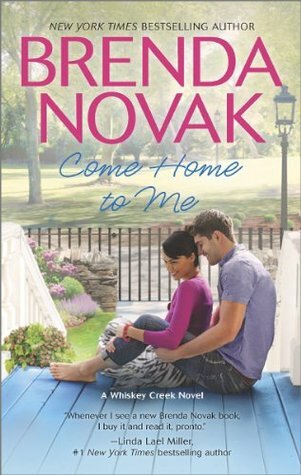 As Elizabeth gets to know Tristan, she finds an understanding and shared loss they can both relate to. It brings them closer together and soon they find themselves using each other in ways they never planned. But they can’t go on forever living in the past and the future hold surprised neither of them could ever imagine. 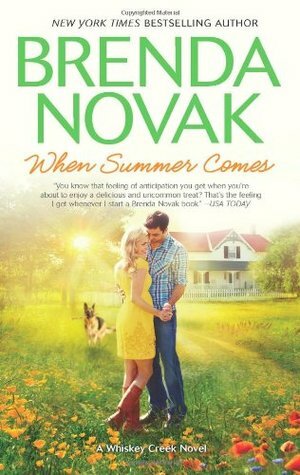 The Air He Breathes began as New Adult romances normally do: Messed up guy meets messed up girl. They are the only ones who really see each other. Then, Elizabeth and Tristan’s relationship went in a weird direction I didn’t like. They started using each other in a way that disturbed me. The story lost me for a bit. Thankfully, Tristan and Elizabeth’s relationship got back on the right track and it went back to being what I have to come to expect from NA romances. But then, BAM! Surprise twist — in more ways than one. Holy smokes. The Air He Breathes was not what I was expecting at all. Well, that’s not entirely true. I could foresee what was going to cause the biggest problem in Tristan and Elizabeth’s relationship from the beginning of the book. Other parts of it were a complete surprise, though. I didn’t expect the twist toward the end. That blew my mind. For the most part, I really enjoyed Brittany C. Cherry’s writing and characters. I loved the bits and pieces I got to read of Tristan’s past life. Even though they had been through a similar situation, Tristan was more interesting of a character than Elizabeth was to me. I would credit that to some of the secrecy behind Tristan. My favorite character in the whole book, though; had to be Elizabeth’s best friend Faye. She was outspoken and hilarious. Some of the things she said — oh, my! She was such fun to read. Honestly, I wasn’t quite sure how to rate The Air He Breathes. There was so much going on in this story. It almost felt like two or three different books in one. Some of it I loved, other parts I hated. Overall, it was really good. So when it came down to rating it, I kept having to ask myself if I just liked it or did I really like it? It falls somewhere in between, so I went with 3.5 stars. So, would I suggest reading it? Yes! 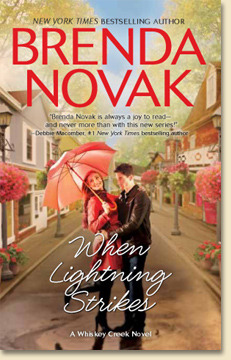 If you like NA romances, give this one a try. While my rating is on the average side, I did really enjoy The Air He Breathes. 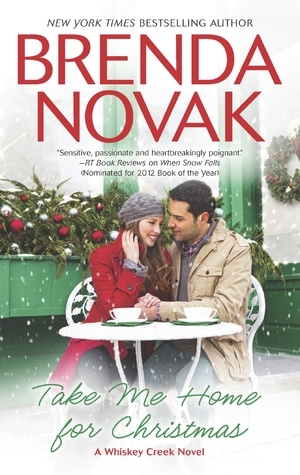 I was nominated by the lovely The Girl in Boots @ Being A Book Nerd for The Infinity Dreams Award. 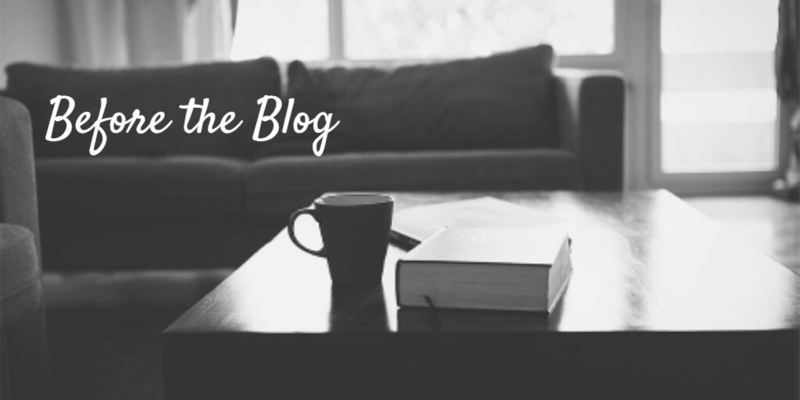 If you haven’t yet, be sure to check out her blog. Answer the questions set up for you to answer. Nominate 11 bloggers and pose questions to them. 1)My middle name is Faye after my grandmother. 2)My grandmother Faye lived to be almost 104. She died 5 days before her birthday. Getting that old does not look fun. 3)My mother-in-law believes in UFOs and that everything happens in movies happens in real life. I don’t exactly agree with her. 4)I love peanut butter and jelly sandwiches. 5)I broke my wrist twice as a child. 6)I have one kid. Sometimes I wish I had 2 but I’m always thankful it’s just one when I see all my friends struggling to get their kids to practices, etc. 7)I wanted to be a teacher like my mom up until I graduated from high school. Then I noticed all the work she brought home with her and changed my mind. 8)My newest guilty pleasure is FOX’s Scream Queens. 9)I gave my best friend Ugly Love by Colleen Hoover for her birthday to force her to read it. 10)I don’t like hanging out in large groups. It’s hard to talk to people. 11)I should be blow drying my hair right now. 1)What made you start blogging? As you probably have gathered if you follow my posts, I read a lot. I am the go-to person for my friends to ask what to read next. Several of them convinced me it was time to just go for it and start a blog. Plus, I love to share/talk books. 2)Who are your favourite people? Both! I like a good green tea with honey and I love decaf lattes. 4) Glass half full or half empty? It really depends on the situation. I want to say half full and be optimistic but there are just times you know it’s a half empty situation. 5) A wish you want desperately want to come true. Honestly, it would be to lose weight! (Who doesn’t want that, right?) But that’s not something you can wish to come true. It’s all about action. Other than that, I would like my daughter to turn out to be an amazing person and to stay as sweet as she is now. 6) A Moment/day you want to freeze, Cause it was so freaking amazing! How do I choose? The day I married my husband? The day I gave birth to a beautiful little girl? It’s more about the happy moments to me. I don’t know if I want to freeze them or just keep having them! 7) A moment/day you wish you could redo. 8) If you could have any superpower, what would it be? Read (of course), work out, watch a lot of U8 girls soccer, shuttle my kid around, help her with homework, clean my house, errands, watch a little TV. I’m soooooo boring! 10) Which is your favourite season? why? I love fall for the cozy clothes and comfort food. But I also love summer and the ability to do fun stuff outside. 11) One random fact about yourself! Hmmmm….. I hate malt flavor: malt balls, shakes, etc. They literally make me gag. 2)What is the best gift you have ever received? 3)Favorite type of Halloween candy? 4)What is the funniest thing that has happened to you this week? 5) Does a song make an artist popular or does an artist make a song popular? 7)Who is your celebrity crush? 8)Have you ever heard of / listened to Metalachi and would you go to their concert? 9)What song is stuck in your head right now? 10)How many licks does it take to get to the center of a Tootsie Pop? 11)If you could have any animal as a pet, what would it be and why?